Join us on Thursday December 7 from 8-10pm for a night of choral music. 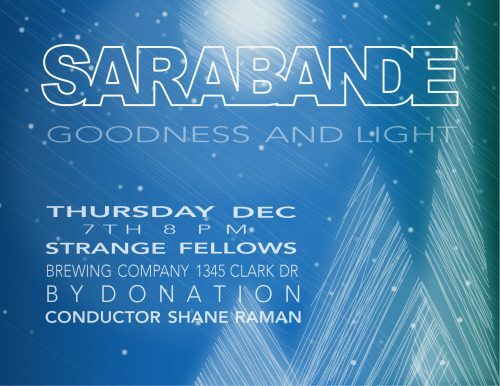 The Sarabande Chamber Choir (part of the Vancouver Bach Family of Choirs), led by conductor Shane Raman will present an evening of traditional and new carols and holiday arrangements for your listening pleasure. There is no cost for entry, but the choir will be accepting donations. All ages are welcome, although guests under 19 must be accompanied by an adult.